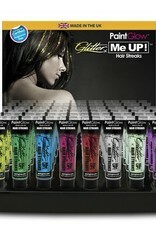 Sprinkle your hair with a thousand sparkles in a stroke with our Glitter Hair Streaks. The built in wand makes it so simple to add some dazzle to your hair style. 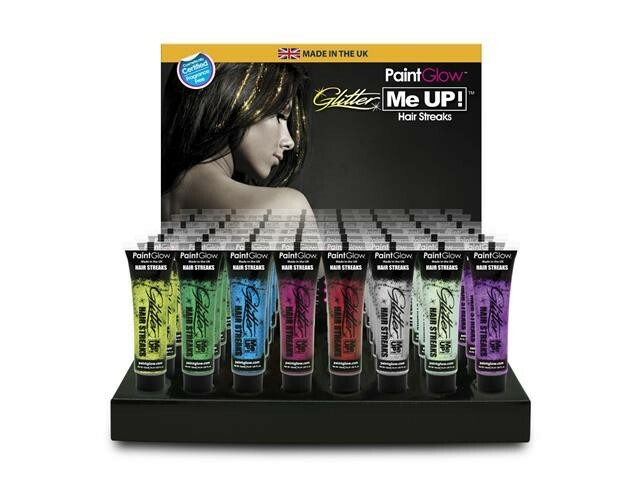 The exciting and innovative PaintGlow line of body paint and Halloween and party make up is Made in the UK. It is manufactured to a high quality that meets strict consumer health and safety regulations and is not tested on animals. With colours so bright and stunning there is no look you can’t achieve!